Auction of the King of Pop's death bed marks a new low in exploitation – and a new high in the price of celebrity. 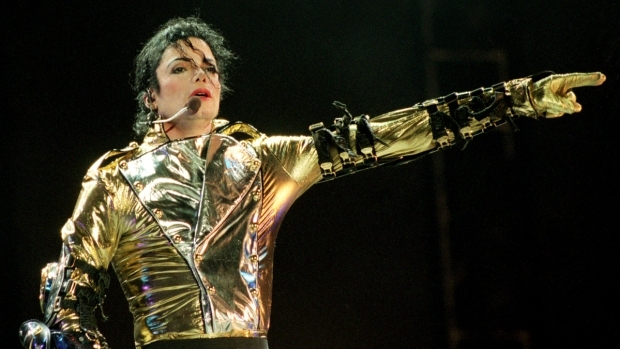 Michael Jackson is being exploited in death. Even in death, Michael Jackson can't escape profiteers who cavalierly moonwalk across the ever-deepening pit where ghoulishness and greed mingle. Word that the King of Pop's death bed is up for auction marks a new low in exploitation – and a new high in the price of celebrity. We thought we'd already plunged to the nadir with the $31,000 purchase of John Lennon's tooth earlier this week. A macabre as the sale was, it inspired more jokes than anger, given the passage of years and circumstances (the Beatle gave the molar to a housekeeper more than four decades ago). The timing and circumstances of the planned sale of items from the rented mansion Jackson called home when he died in 2009, though, only makes the auction sadder and more maddening. The news follows the trial of Dr. Conrad Murray, Jackson's physician – a spectacle that further altered the superstar entertainer's already confused image and uncertain legacy. The Associated Press noted reporters were getting a preview of the queen-sized bed and other auction items Monday just as Murray, one of many who made money from Jackson, was found guilty of involuntary manslaughter. The desire to be close to stars – starting with something as seemingly benign as an autograph – is a part of a natural impulse to connect with those who have touched our lives on some level. But expressions of admiration have mutated into the grotesque amid the growing obsession with – and, in the Reality TV age, a watering down of – celebrity. The auction reinforces the image of Jackson's final years as a never-ending freak show that – much to his own fault – overshadowed his reputation as one of the world's greatest entertainers. Unfortunately, his notoriety might only help boost the bed’s selling price. Jackson recently topped Forbes’s latest list of top-earning dead celebrities, with his estate pulling in $170 million, primarily through music sales and publishing revenues. Lennon placed fifth with $12 million, presumably mostly through sales of songs that still spread joy. Nos. 2 and 3 were Elvis Presley ($55 million) and Marilyn Monroe ($27 million), so far the two most exploited dead celebrities, who, sadly, are probably better known by some for their sordid deaths than their talents in life. The same outfit hawking Jackson’s bed next month is also putting up for bid pictures of Monroe – and Justin Bieber, who, whatever the truth behind his paternity kerfuffle, is learning a tough lesson about the price of celebrity. As we've seen with Michael Jackson and select other superstars, it's a toll that only increases with death.